If you’re looking for traditional worship in an intimate setting, this is the service for you. 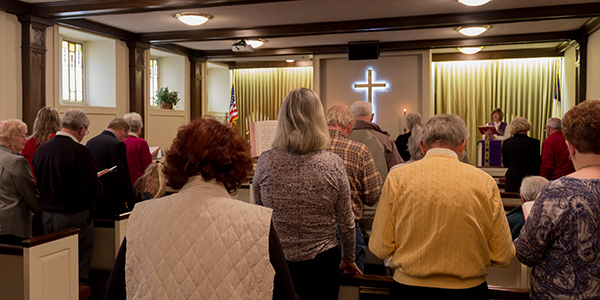 Held in the chapel on the lower level, the 45-minute worship service is led by one of the pastors. Communion is served at every service, with scripture readings and traditional music led by an organ. The bulletin, hymnal, and the Bible are used to follow along.